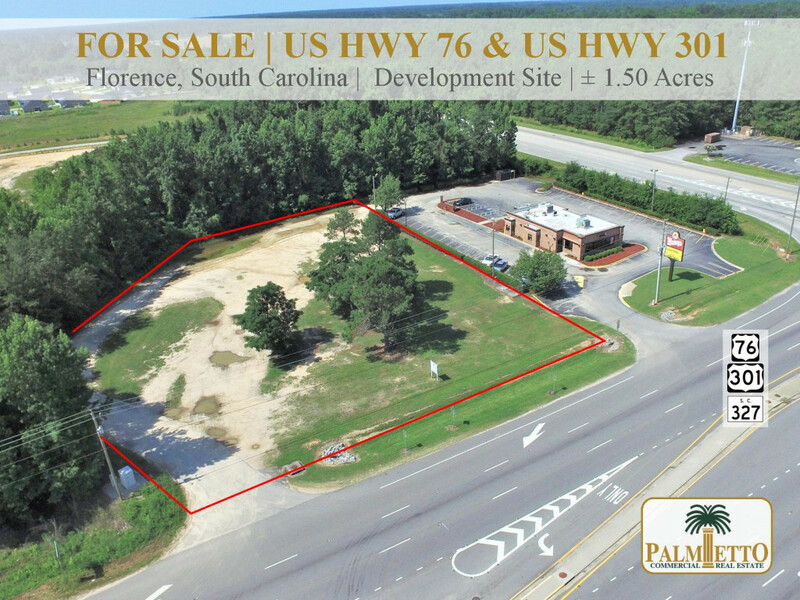 This ±1.50 acres is located at the intersection of US Highway 76/301 and is a heavy traveled tourist corridor to Myrtle Beach. With 229’ of frontage, the subject property is highly visible and ideal for retail development or highway commercial development. Approximately 1 mile from Francis Marion University, 2 miles from the Florence Regional Airport, 5 miles from Interstate 95, 4 miles from McLeod Regional Medical Center and less than 5 minutes from downtown Florence.